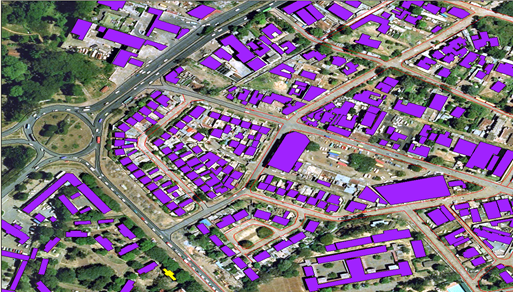 Undertake research project on the new tools and open source software for GIS and spatial database development. Training course on Land Information System: the objective of training course is to develop capacity in Land Information Management System for its member States and beyond. Photogrammetry unit is within Remote sensing section. Photogrammetry remains the most authoritative data acquisition and processing tool for large scale map production. Availability of stereo satellites such as Quick Bird, IKONOS, IRS, World View1, Geoeye1, EROS, ALOS with resolution of up to 30cm for world view3, 50cm for Geoeye1 and 80cm for EROS, make it possible for large areas of the ground to be mapped with reduced ground controls and reduced instrumentation. Again, Photogrammetry being an engineering discipline is heavily influenced by developments in computing and electronics advancement and as such, an update in software calls for a change in procedures through which end products are generated. 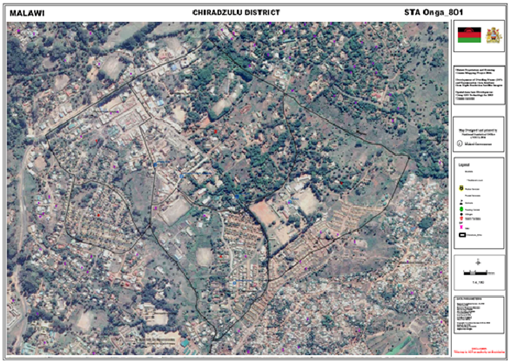 Owing to the progress made in satellite data acquisition and developments made in the computing arena, RCMRD urges Member States to embrace Photogrammetry techniques and therefore fast-tracking data production for map-updating and NSI development. Capacity development: Training Member states in the latest technology in the field of photogrammetry. Since inception in 2006, the following member states staff have been trained. Botswana, Burundi, Ethiopia, Kenya, Malawi, Mozambique, Namibia, Rwanda, Somali, Tanzania, Uganda, Zambia and Zimbabwe. Other countries that have had staff trained in Digital Photogrammetry include Angola, Nigeria and Beirut. 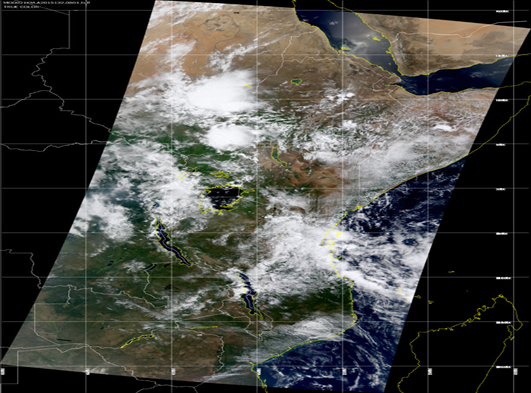 Advisory services: Advisory on new equipment, technology, data sources, (satellites) and methodologies for processing aerial and satellite data, e.g. 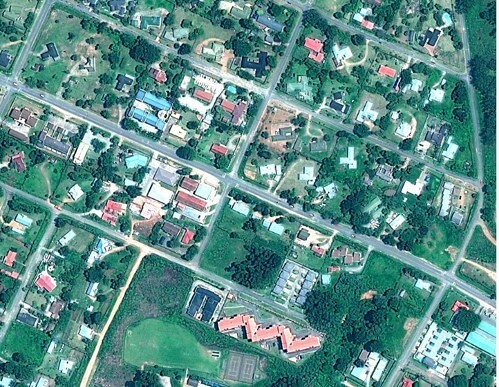 DEM, Orthophotos. Such advisory are given as presentation to the Country on demand. Only Ethiopia and Lesotho has been offered such services. Consultancy services: Assist Member states in project implementation. The services are given to member states on demand. Tanzania, Malawi, Zambia and Mozambique have been offered consultancy services in the AU-Border program. Research and Development: Research is done on new application areas in Earth Observation Technology and results presented to members states. Urban mapping using EROS satellite in Ethiopia, Topographic map production using ALOS satellite (Nyeri-Kenya), Large scale mapping using high resolution satellite and Generation of Population Data using high resolution satellite and 3D data capture in Komarock, Nairobi-Kenya). 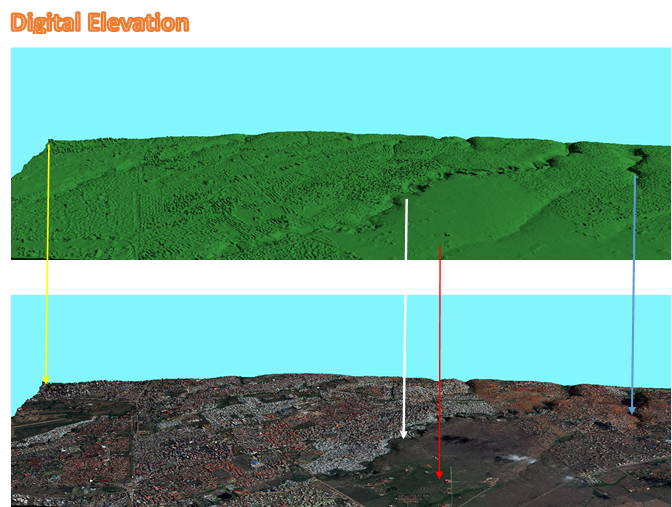 Digital Elevation Model from Wild view-2. Photogrammetry is about precision. The Remote sensing (RS) section falls under the Technical Services Department. The section is headed by the Remote Sensing Officer who is supported by Remote Sensing Technicians and Photogrammetrist. The purpose of RS section is generation, application and dissemination of demand-driven products in RS and provision of effective services in the member states and beyond. Carrying out research and consultancy services on the application and use of photogrammetric technologies in resource mapping, infrastructure and designing, urban mapping, in precision agriculture and irrigation development. 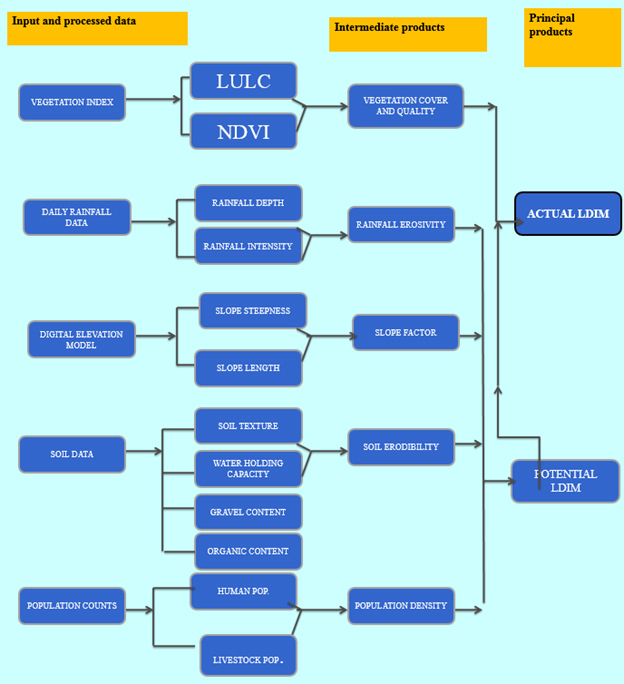 The Database Management, Archiving and Dissemination Section/ Data Centre is responsible for managing the geospatial database of the Centre that includes acquisition, quality assessment, archiving and dissemination of data to both internal and external clients. • Medium resolution Satellite Imagery - Satellite image data with ground sampling rate between 5 – 250 meters (Pixel resolution) i.e. 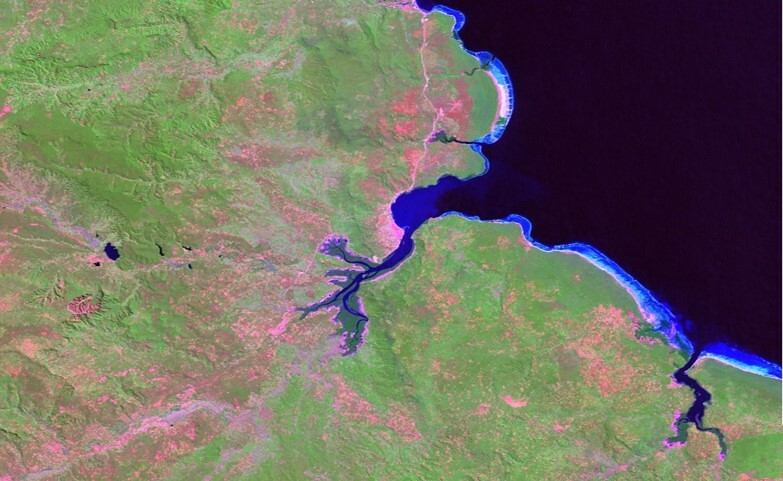 SPOT imagery series, Landsat etc. 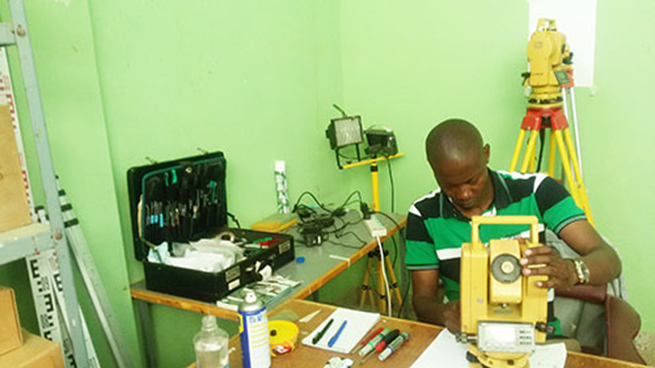 This section offers services that combine professional staff, state of the art equipment and software to ensure that we offer the full suite of Topographical surveying, Engineering surveying, Hydrographic surveying, Cadastral surveying, Control surveying and Training in Land survey related short courses such as GNSS Training, Total station training, leveling among others. Surveying or land surveying is the technique, profession, and science of determining the terrestrial or three-dimensional position of points and the distances and angles between them. These points are usually on the surface of the Earth, and they are often used to establish maps and boundaries for ownership, locations like building corners or the surface location of subsurface features, or other purposes required by government or civil law, such as property sales. Surveyors use equipment like total stations, robotic total stations, GPS receivers, retroreflectors, 3D scanners, radios, handheld tablets, digital levels, subsurface locators, drones, GIS and other surveying software. Land surveying: Land surveying involves measuring and determining property boundaries, which are used as the basis for all property transactions including buying, selling, mortgaging and leasing. Due to the importance of having a secure and strong property market, in Kenya a land surveyor needs to be licensed to be able to carry out a land survey. Engineering surveying: Engineering surveyors are engaged in the construction industry and ensure construction works are built in the correct location and as per their design. They are generally found on construction sites setting out various types of works such as buildings, roads, bridges, tunnels and various other forms of infrastructure. Mining surveying: Mining surveyors are involved in the development and construction of mining operations and can generally be found above and underground taking measurements to determine volumes and setting out new excavations and tunneling. Hydrographic surveying: Hydrographic surveying involves locating and measuring points under the sea and on the shore. There measurements are used to design infrastructure such as docks and jetties as well as ensuring ships have enough clearance from the sea bed to safely travel around the world. Using sonar scanners they are able to provide a picture of the sea bed without needing to get their feet wet and enabling the discovery of ship wrecks and other objects lost at sea. Geodetic surveying: Geodetic surveyors are involved with undertaking very precise measurements to determine the shape and size of the world and track the movement of continents. Their measurements are used in the monitoring of sea level rise, earthquakes, and the tracking of satellites. Geodetic surveyors are involved in the development of co-ordinate systems and datums which are used in the productions of maps and plans. Photogrammetry and remote sensing: Photogrammetry and remote sensing involves taking measurements of the world via photography or other wavelength bands such as infra-red or ultra-violet. 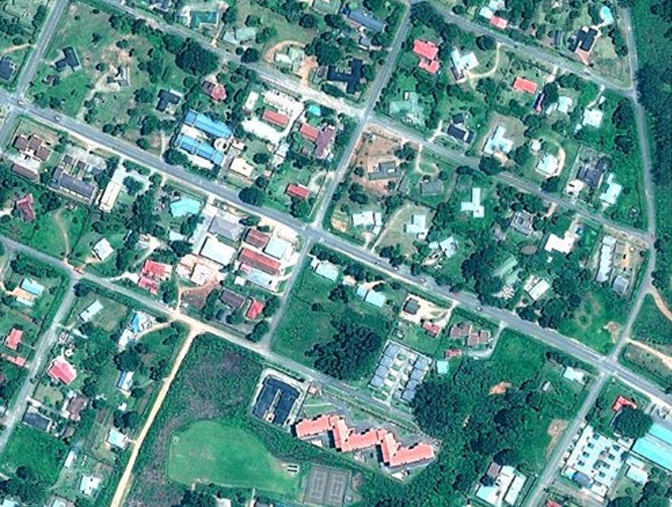 Measurements may be sources from aerial photography or satellite imagery. Photogrammetry and remote sensing is used to map large areas and determine changes in the world over time. RCMRD offers access to the DATASETS AND MAPS that have been developed and shared online, using platforms such as apps portal, geoportal, open data site that are useful for accessing these spatial based products and services.